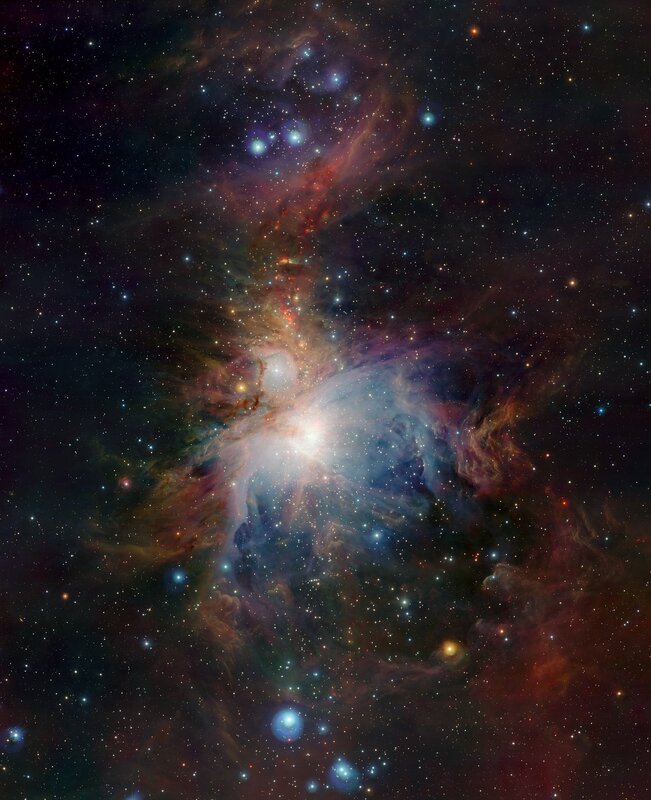 The Orion Nebula is a vast stellar nursery located about 1350 light-years from Earth. Stars are born deeply embedded in dust clouds such as this one. Using infrared instruments, astronomers can peer through them.